What can we learn from 50 years of British-Asian TV? As the BBC celebrates half a decade of British Asian broadcasting, we look back at a journey of cultural integration that shines a spotlight on the present. Britain in the 1960’s, having been governor to one fifth of the world’s population, was now learning to play host. Some three thousand immigrants a week were reportedly seeking to build a new life here from the commonwealth. In the same year as the first Race Relations Act, the BBC set a new precedent by launching a programme aired on Sunday mornings in a foreign language. Apna Hi Ghar Samajhiye (Consider Yourself At Home) began on the 10th of October 1965. Viewers were taught how to make enquiries into booking a coach for example, as well as introducing them into new-world wonders such as the light switch. Apna Hi Ghar Samajhite aimed to integrate the new arrivals into the peculiarities of the UK. While catering to the country’s rapidly changing demographic, the BBC was also seeking to manage its consequences. But coupled to attempts that ranged from helpful to patronising, ‘Consider Yourself At Home’ was also a window into the world left behind. Presented in Hindustani, the lingua-franca of North India and Pakistan, musicians from ‘back home’ were hosted as part of the hour every Sunday morning. As such, the BBC provided familiarity, feeding a corner of our parents and grandparents that would remain forever India or Pakistan. Three years later, Apna Hi Ghar Samajhiye had given way to Nayi Zindagi, Naya Jeevan (New Life) and the Sunday morning window had become a weekly cultural feast. Beaming in the great and the good, the show regularly hosted some of the most illustrious cultural figures from the old country who spoke directly to their non-resident country-folk, renewing old bonds. 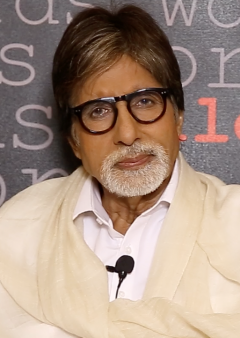 The godfather of Indian Cinema, Amitabh Bachchan, spoke candidly from the Birmingham studios. The Pakistani maestros of Sufi music, the Sabri Brothers, sang especially for this new audience. Through the TV, the settlers received weekly waves of affirmation that although they’d forsaken their homes, their homes hadn’t forsaken them. Amitabh Bachchan. Credit: TeachAIDSOf course this style of programming – minority content for minority audiences – could arguably be viewed as ghettoising. It certainly might seem to fit the dictionary definition, “an isolated or segregated group or area”. However, there’s also an argument that this ghetto was required for providing security in otherwise insecure surroundings, along with the self-validation necessary to build anything new. Whilst other programmes on British TV highlighted the difference in these communities, and even ridiculed it, here migrant communities were welcomed and their values upheld. 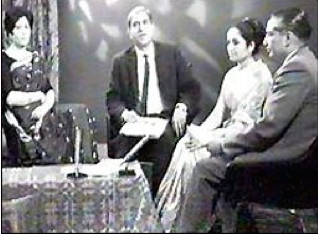 As the demographic of the British Asian community changed and a new generation demanded new broadcasting, the Sunday morning Asian slot was again reformatted and the Asian Magazine was created. Launched in 1982, this show employed both Hindustani and English staff. Whilst giving the youth a platform to discuss critical issues of culture and identity, it continued its function of allowing artists, sports personalities and politicians from South Asia to speak into British Asian living rooms. If Nayi Zindagi Naya Jeevan allowed British-born generations to understand their migrant parents, Asian Magazine gave them a chance to understand one another, as each generation carved out a distinct space for itself whilst still remaining attached. "The time has finally arrived for me to beg my leave from you. For 21 and a half years each Sunday morning, on this small curtain that is the TV, we kept showing you flashes of that life which you had left behind. For people of my age in this country, whether we accept it or not, its become true that the memories and shadows in our hearts of our old life have become covered with 21 years of dust. And those shadows themselves, hidden in mist. As for the children therefore born of our wombs, how can they possibly find a place for themselves in such memories? It’s an old analogy - a new palace is made, the old palace is brought down. “Old woman! Take your pots and pans along with you now”. And so this old woman who’s lived in the shadow of that old palace is now picking up her pots and pans to take along with her. I beg your leave [in English] Goodbye." In many ways the ‘state of broadcasting’ at the BBC reflected the ‘state of the community’. Speaking in English to second and third generation Asians, Network East represented a new era. The extent to which it still drew from arts, sports and political personalities of the heritage countries demonstrated the extent of continued identification amongst British-born Asians, as well as the lack of actual British Asian sports, arts and political representation. Of course the arrival of the first home-grown British Asian star was inevitable. It was Network East that proudly showcased Apache Indian for the first time: a Birmingham-born British-Asian reggae artist whose curious combination of influences would probably not have been understood anywhere else, let alone nurtured, proving again the worth of the protected ‘ghetto’ and the security required for minority talent to develop. 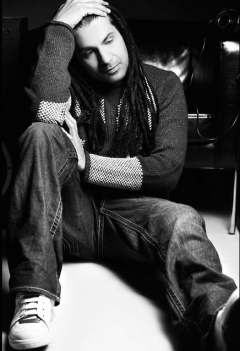 That Krishnan Guru-Murthy, Russell Peters and Laila Rouass all began as presenters on Network East, demonstrates the breadth of talent that grew from the show for almost fifteen years. As the taste for expression developed, an increasingly confident British-Asian identity exerted itself into what felt like a movement. Writers, musicians and artists exploded from the community to define an identity that was as much British as it was Asian. Bands like Asian Dub Foundation and writers like Parv Bancil pushed from the forefront of heady waters to create a new wave of art and culture - a wave to be housed in the latest incarnation of British Asian programming Desi DNA. Presented by Adil Ray, Anita Rani and Nihal in 2003, its programming turned away from merely presenting sub-continental superstars, instead showcasing edgy and pioneering home-grown artists whose creative output screamed with the audacity of global 21st Century influence. Collecting this exploration of culture onto one platform until its end in 2008, Desi DNA reflected a resounding confidence and self-awareness amongst British Asian communities that shouted for readiness in the mainstream. BBC Asian Network home page. Credit: BBCThe current absence of a dedicated platform for British Asian television broadcasting speaks of the wider situation the community finds itself in, as we leave the security of the ‘ghettos’ that successfully nurtured us and confidently share our talents amidst mainstream British society. As we do, it’s worth asking what can be learnt from fifty years of British Asian broadcasting. Allowing its development in line with contemporary social needs has successfully created a rich legacy of British Asian creativity and programming. From Romesh Ranganathan to Krishnan Guru-Murthy, the array of British Asian talent today owe a debt, either directly or indirectly, to this history. So what now? To best serve the current pool of homegrown minority talents, the BBC’s historic commitment to diversity must be echoed across its infrastructure, to ensure the best programming as well as talent. The move into minority content for majority audiences can only fully realise itself if minority groups are reflected amongst decision-makers – producers, executives, commissioners – as well as artists. After half a century, Asian communities stand as fully-fledged contributors to British culture and identity. Aided by the BBC itself, the fabric of Britain has changed with us. The next step should be to properly reflect this change. If it does not do so, the BBC will find itself out of step with a world it helped to create.